Can’t afford a trip around the world? 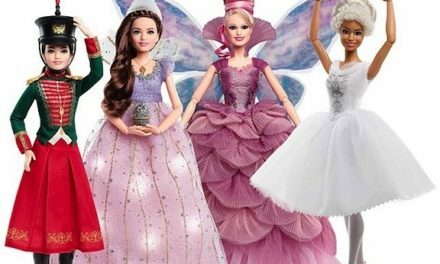 Fortunately, doll artists and companies bring international flavor and their dollmaking perspectives to collectors everywhere. Each widens the scope and breadth of dollmaking in her own special way. Dolsballad represents Japanese artists Yabe Fujiko and Wakatsuki Mariko. Wakatsuki Mariko may be Japanese, but her work is quite similar to that of Western artists. She opened her studio, Atelier La Lune, in Japan in 1989 and has produced lines of porcelain fairy dolls in large editions. She also exhibits one-of-a-kind or small-edition porcelain dolls at solo exhibitions. 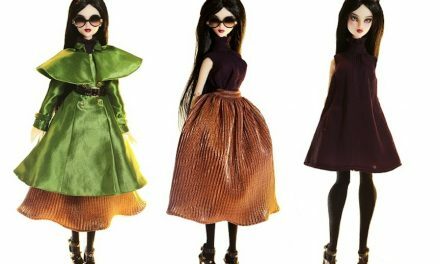 Before studying dollmaking at Ecole de Simon, Mariko did not have any experience with dolls. She was inspired by Pre-Raphaelite and Symbolism paintings, and she decided she would create works in three dimensions, rather than two. She believed dolls to be somehow similar to paintings because they express the world through imagination. Mariko is a bibliophile, and books are the root of her creations, so she seeks literary essence in her dolls. She is especially fond of Danish author Hans Christian Andersen and Japanese author Ogawa Mimei. Through their tales, she learned about good will and the meaning of happiness. 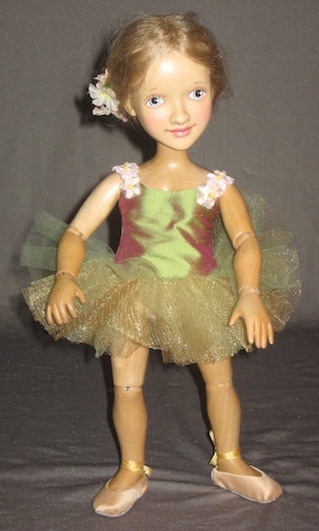 Through her dolls, Mariko hopes to deliver love, dreams and hope to all who enjoy them. 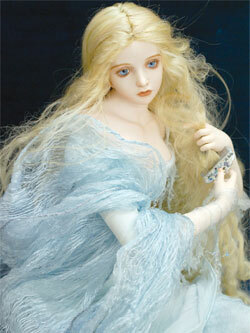 The theme for her 2008 dolls is “water fairies.” For more information, visit www.dolsballad.co.jp.